The Hyatt Regency Century Plaza is one of our favorite properties. Historical, iconic and centrally located in Los Angeles, it’s been a favorite of celebrities, politicians, and world leaders since it opened in 1966. Ronald Regan stayed there so often it was once nicknamed the “West Coast White House.” It also hosted Richard Nixon and more recently, Barack Obama. And rumor has it, their ground-level pool isn’t going to be around for long. Plans are in the works for a property overhaul, with the pool being relocated to a roof deck several floors up. Yeah, yeah, yeah, we get it. Rooftop pools can be spectacular. Such as this one, this one, and this one. 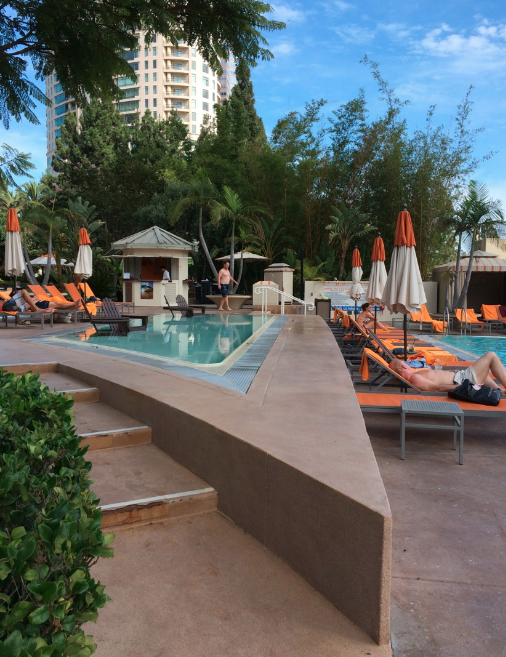 But there is something delightfully retro about the Hyatt’s current ground level oasis. 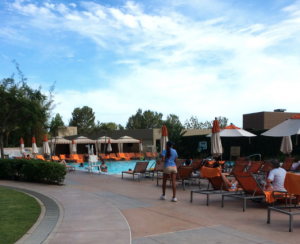 Somewhat of a rarity among Los Angeles hotels, the Century Plaza pool features a large outdoor pool area without an adults-only party scene. 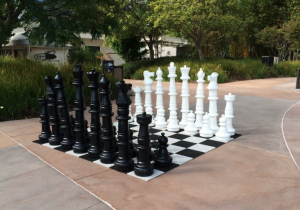 It’s flocked by greenery, with plenty of lounge space, mini wading pools, a giant chessboard and lawn-play area, and cabanas for rent. It’s a great place for a stay OR a vay-cay tion. 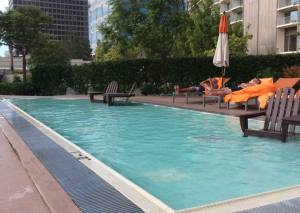 More: Hotel Pools in Los Angeles.